When it comes to reducing your reliance on mains water, nothing beats having a quality water tank in Perth that lets you collect and store as much rainfall as you need for various purposes. With the right tank installed, you’ll have enough water to irrigate your garden, keep your toilets full, and even wash your car. Yet with all the tank types, sizes, shapes, and colours available, which one should you invest your hard-earned dollar? In an article for ReNew Magazine, writer Lance Turner provides a rundown on the different factors a homeowner like yourself should consider. First, you need to determine where the tank will be positioned. This will help you pick a tank of the right size, shape, and colour that blends in with its surroundings. The water tank could be located next to the shed, beside the house, above ground, or even underground, as in the case of slimline tanks installed down the side of a house. Rainwater tanks can be made of polyethylene, steel, concrete, or fibreglass. Trusted suppliers such as Rainfill Tanks specialise in tanks made of corrugated iron and lined with food grade AQUAPLATE® polymer that prevent direct contact between rainwater and metal. Such tanks can be custom designed to match homes of all sizes and fit in tight spaces as necessary. Your water tank should remain functional for as long as possible. The average useful service life for water tanks is 20 to 25 years, depending on the type and material. Some tanks come with warranties. At any rate, the type of materials used as well as environmental factors and maintenance schedules can greatly influence a tank’s longevity. The tank should ideally be installed in a spot that keeps it away from direct sunlight to maximise its service life. The right location should also serve to keep the water temperature low and hence slow evaporation down. 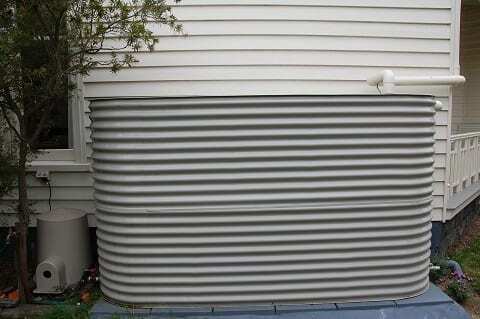 Corrugated galvanised steel water tanks in Perth are known for their durability and strength. To ensure the best results, you’ll want to choose a company like Rainfill Tanks and Curved Roofing Supplies that has installed thousands of tanks and custom solutions for clients in Western Australia.